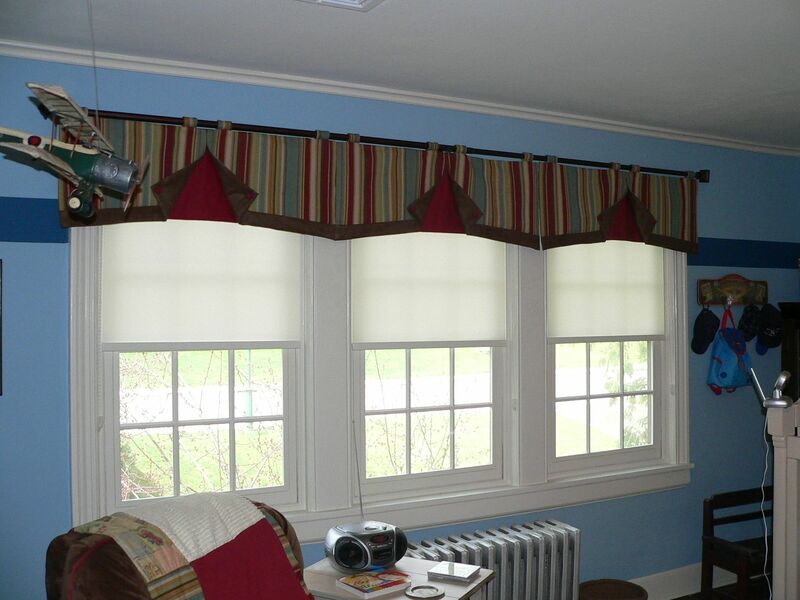 Showing a window valance in an open pleat design which may be placed as a single unit over a single window, or in multiple units over a series of connected windows, or a large picture window. 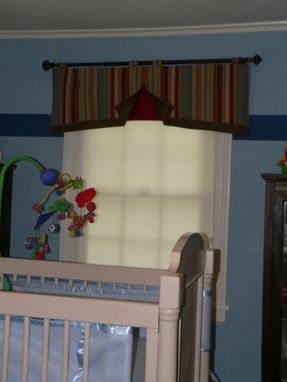 The style offers versatility and ease of coordination to the colors or fabrics already in the room. 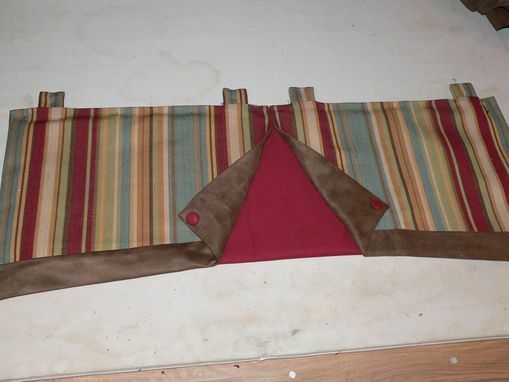 These are all custom made and may be made from any fabric or colors that best coordinate with your room decor.